Detta inlägg postades i Nature, Ute och omkring den juni 3, 2011 av Johan, Nordic Bushcraft. Hello mate – some good stuff on your blog – bow drill eh glad to see your putting your skills to good use ”) – did you eat ALL that Alg?? 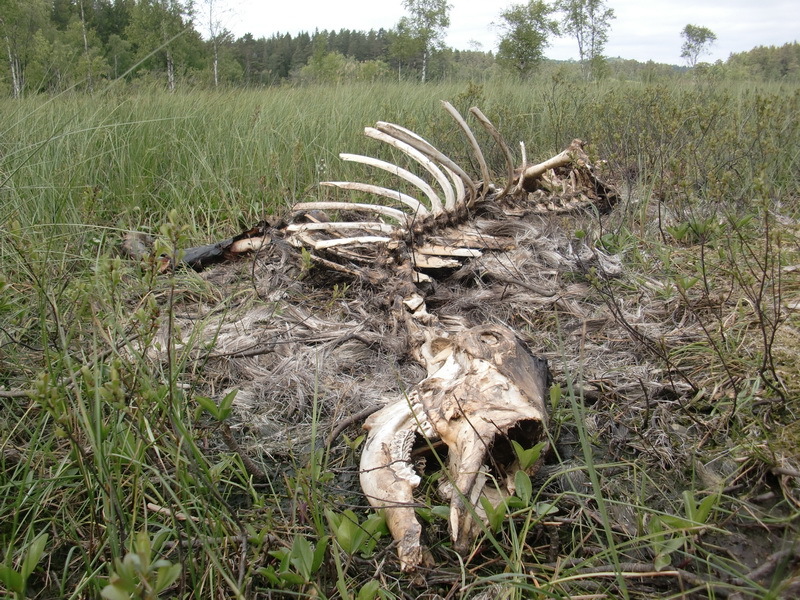 The moose is quite interesting, it´s probably a year old and has died of natural causes or been killed by another animal. There are a lot of weird things happening in that area. Trying and testing and learning all the time, it just never seems to be an end to it. Might be up in Åjäng in october for a week, migt be coming through during the summer but no plans set yet.